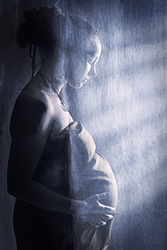 Mater Filius, Nebraska is a non-profit home created to help pregnant women who find themselves without the support of family or who are experiencing financial difficulties. The mission of Mater Filius is to safeguard the life of the unborn child and defend the dignity of the child’s mother, regardless of how the child was conceived. Our vision is to help expectant mothers learn about good parenting through our parenting workshops and through the education, caring and support of our volunteers, many of whom are mothers themselves. Mothers and their babies receive services at Mater Filius for up to eight months following the birth of their child. During this time, they will learn to appreciate and understand the great blessing that has entered their life and how to best care for that blessing in a healthy and stable manner. need to build happy successful lives. Omaha and surrounding areas of Nebraska. We are a transitional residence for pregnant women in a crisis situation. Our goal is to help you to have your baby in a safe, loving home while providing the support and guidance you need to get back on your feet to rebuild and give your children a positive start in life. Mater Filius, Nebraska is a Catholic apostolate created to help women who find themselves in a crisis pregnancy and without support.